Welcome to Turas Press, an independent, Dublin-based publisher dedicated to providing a platform for new and innovative writing. 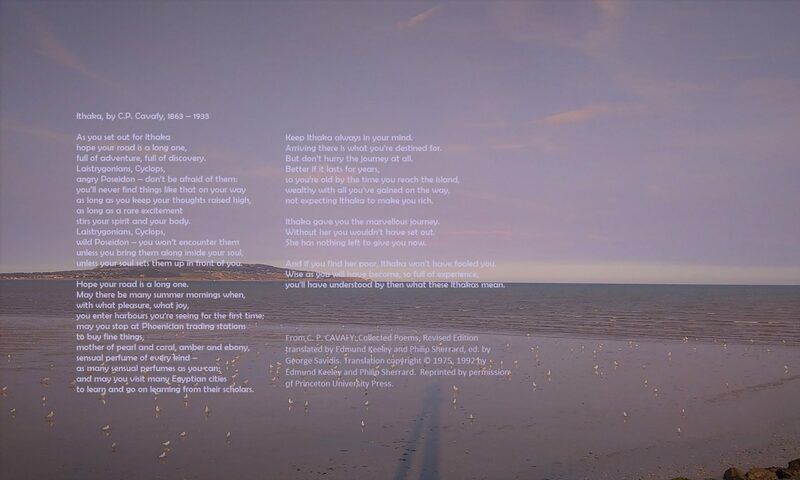 In Irish and Scottish Gaelic, “turas” means “journey.” Turas Press was founded in May 2017 to support writers of poetry and fiction in launching their work into the world and finding an audience. 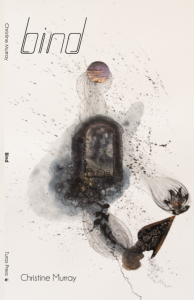 Christine Murray’s new book ‘bind’ – launch October 8th! Turas Press is proud to publish a new book from the eminent poet and activist Christine Murray. 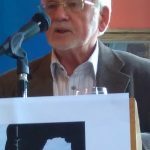 An innovative and experimental ‘waking book’, ‘bind’ will be launched by Peter O’Neill in the Irish Writers’ Centre, Dublin on October 8th at 6.30pm. 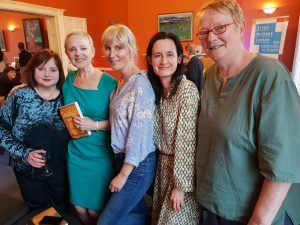 Liz McSkeane’s first novel, “Canticle,” a historical detective thriller set in Renaissance Spain, was launched by Anthony Glavin in the Irish Writers’ Centre on May 15th. “Canticle” is based on the life of the Spanish mystic poet St. John of the Cross and was a winner in the IWC/Greenbean Novel Fair, 2016. 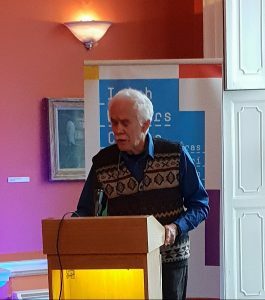 Anthony Glavin was one of the Novel Fair judges and gave a generous and thought-provoking introduction to the novel. Many friends assembled for the celebrations, including veterans of the Brook’s writing group, the Troika and even some visitors who came all the way from Scotland! Great to see “Canticle” out in the world at last and thanks to all those who played their part in making it happen! Some of the Brook’s writing group. New collection from Jo Burns, publication 2018, date now confirmed for November 6th! 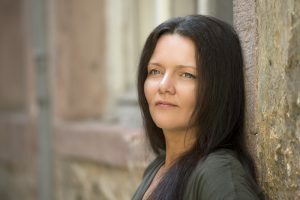 Turas Press is delighted to announce that Turas Press will publish the first full collection, “White Horses”, from award-winning poet Jo Burns, later this year. 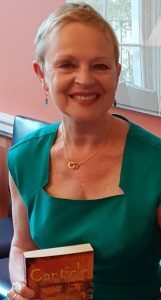 Jo was born in Northern Ireland and lives in Germany where she works as a freelance translator, board member for a foundation supporting rural development projects in East Africa and India, and raising three teenagers. • the Magma Judges Prize Poetry Competition 2018. Jo’s pamphlet, “Circling for Gods,” was published in spring 2018 by Eyewear Publishing. 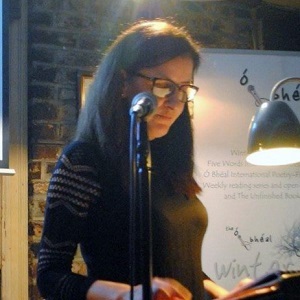 Her work has been published widely in many journals and she was shortlisted for the Strokestown International Poetry Prize. 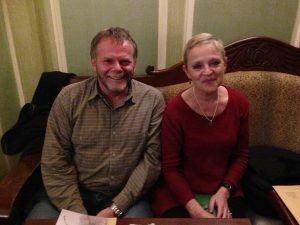 We were delighted to meet Jo and hear her reading from her superb work at the Strokestown International Poetry Festival at the start of May. And many congratulations, Jo, for taking third prize for your beautiful poem, Phaethon. “White Horses” will be published on November 6th, launch in the Irish Writers’ Centre, 19 Parnell Square, Dublin 1 at 6.30 pm. More details to follow closer to the time. 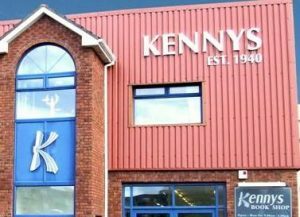 Many thanks to Kevin for inviting Turas Press to take part. We really enjoyed meeting you all. 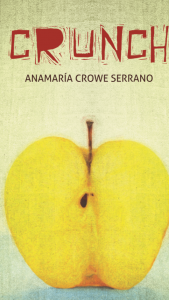 Anamaría Crowe Serrano’s exciting new collection, “Crunch,” was launched at the beginning of February in the Irish Writers’ Centre. 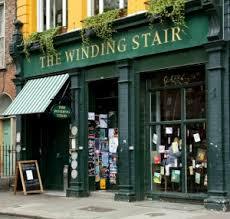 It was a great celebration and poet Fióna Bolger gave a wonderful, insightful introduction. Anamaría reads from her new book. October 23rd, 2017: The Listeners, the Eden in Rathfarnham, Dublin. Liz and Ross were invited to share their work as featured readers at The Listeners monthly event in Rathfarnham on October 23rd last. Here they are, happy to have signed many books! Thanks to Dara Bradish and Paul Bragazzi for hosting Turas Press. 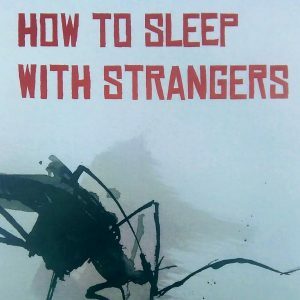 Ross’s third poetry collection “How to Sleep with Strangers” was launched on September 4th, 2017 in the Irish Writers’ Centre at 6.30 pm, introduced by Anne Tannam. Her introduction is available on this website under the Reviews tab. 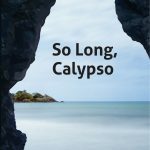 The launch of Turas Press and its first publication, “So Long, Calypso,” by Turas Press founder Liz McSkeane, took place on May 2nd, 2017 in the Irish Writers’ Centre in Dublin. Poetry: send your full manuscript in a Word document , with a covering letter in the body of the email. Please do not send zip files with individual poems in single files – whole collection in one document, please. Novel: send up to 10,000 words or the first three chapters of your novel and a one- or two-page synopsis, both attached as Word documents, with a covering letter in the body of the email. Short story collections: attach up to three short stories as one single Word document, with a covering letter in the body of the email. In your covering letter, include a brief overview of your writing and publications history to date. 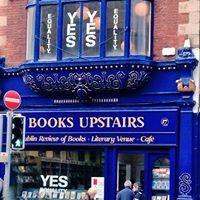 Turas Press is hugely grateful for the support of an expanding network of independent bookshops who have generously agreed to stock our books. 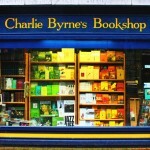 At the moment, Turas Press books are available in bookstores in Dublin, Galway, Cork, Sligo and lately, Glasgow! 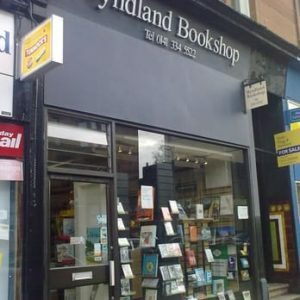 If you would like to buy our books and are close to any of these places – do call in and make your purchase there. 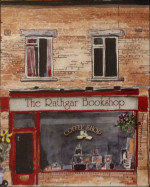 Turas Press is committed to supporting, in whatever small way we can, the work of the independent bookstores. 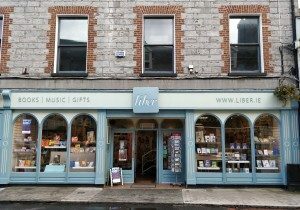 We are keen to bring Turas Press publications to as wide an audience as possible and are taking active steps – by visiting bookshops – to do that. 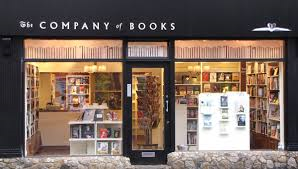 So, if you know of any independent bookshops that you think might be interested, you might consider directing them to this website – or alternatively, let us know and we’ll contact them. If you are living overseas or in a part of the country where the Turas Press list has not yet arrived, no problem, you can buy directly from this website. Just scroll down to the end of this page and click on the book you want. Your order will be despatched in a day or two. If there are any glitches, email us at admin@turaspress.ie.